The Form 300A is a summation of the workplace injuries and illnesses recorded on the OSHA 300 Log during the previous calendar year, as well as the total hours worked by all employees covered by the OSHA 300 Log that year. 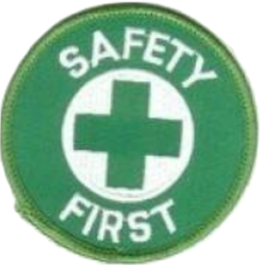 Specifically what the company executives are certifying, is that they have examined both the OSHA 300 Log and the 300A Annual Summary Form, and that they reasonably believe, based on their knowledge of the process by which the information was recorded, that the 300A Annual Summary Form is correct and complete. After certifying the recordkeeping documents, OSHA’s Recordkeeping regulations require employers to post the signed copy of the 300A Summary Form in the location at the workplace where employee notices are usually posted. The 300A must remain posted there for three months, through April 30th. Another common mistake employers make is to not prepare or post a 300A Form if there were no recordable injuries or illnesses during the year. In that instance, OSHA regulations still require employers to completely fill out the Form 300A, enter zeros for each column total, and post the 300A just the same. After April 30th, employers can take down the 300A Form, but must keep (at a central location or at the facility to which the forms apply) a copy of the OSHA 300 Log, the 300A Annual Summary Form, and any corresponding 301 Incident Report forms for five years following the end of the calendar year that those records cover. Here are exemplars of all the OSHA Recordkeeping forms. One more common mistake employers make is to put away the old 300 Logs, and never look back, even if new information comes to light about injuries recorded on those logs. OSHA’s Recordkeeping regulations require employers during the five year retention period to update OSHA 300 Logs with newly discovered recordable injuries or illnesses, or to reflect changes that have occurred in the classification or other details of previously recorded injuries and illnesses. Note, this requirement applies only to the 300 Logs; there is no duty to update 300A Forms or the OSHA 301 Incident Reports. 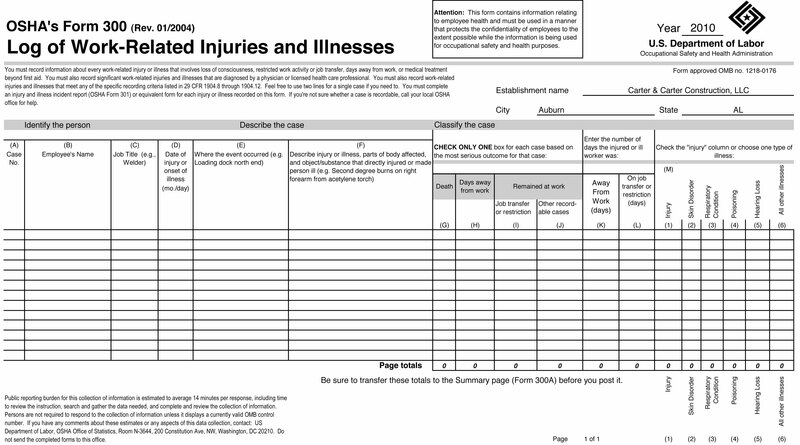 Download Here: EBG’s OSHA Injury and Illness Recordkeeping Checklist is a great resource to consult when annually reviewing, verifying, and certifying your Record-keeping logs and forms.